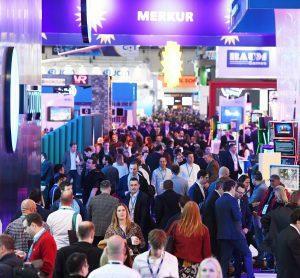 Clarion Gaming, organisers of the world leading ICE London (5-7 February, ExCeL London, UK), has confirmed the 2019 edition will be the biggest on record, with net floor space growing from the 2018 figure of 43,500 sqm to 45,500 sqm, an increase of just under 5 percent. Announcing the growth, Kate Chambers, Managing Director of Clarion Gaming, said: “It’s important to stress this isn’t a one-off increase in demand for space, but part of a trend which stretches back to 2012, when the show floor comprised 22,500 sqm. Since then, ICE London has grown year-on-year and is now more than twice its 2012 size, a remarkable feat when you consider the level of merger and acquisition activity that’s taken place in the industry over that period. The internationalism of ICE London was underlined by independently audited visitor data, which confirmed the largest represented country at ICE London 2018 was Malta (1,910 attendees), followed by Germany (1,445), the United States (1,253), Austria (1,170) and Spain (1,097). The group of top 10 nations was completed by Sweden (914), Italy (910), Netherlands (658), Bulgaria (629) and Israel (572). All of the ICE London 2018 Top Ten Nations registered year-on-year increases in attendance, with Austria (+228 percent), Bulgaria (+106 percent), Sweden (+51 percent) and the United States (+35 percent) showing the biggest rises. For more information, and to experience the spirit of genius at ICE London 2019 (5-7 February, ExCeL London, UK), visit: icelondon.uk.com.